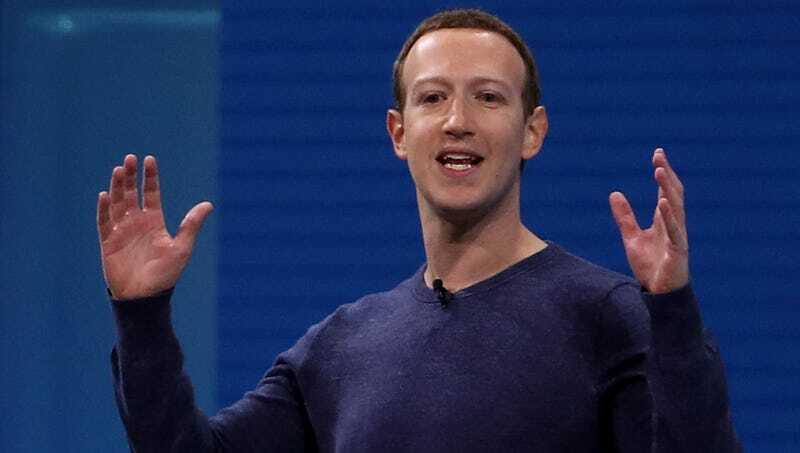 MENLO PARK, CA—Suggesting that the social network may never have existed had the helpless animal not perished before his eyes, Mark Zuckerberg reportedly recalled Thursday how he came up with the idea for Facebook after seeing a dopamine-addicted lab rat starve to death. “I remember watching that frail, malnourished creature lie on its deathbed, actively avoiding food in favor of a shot of stimulants straight to the brain—it was such an epiphany for me,” said Zuckerberg, adding that experiments in which rats refused to eat, drink, or sleep because they would rather expire than stop feeling pleasure inspired him to start Facebook at the age of 18 at Harvard University. “That moment when I saw rodents obsessively pressing a button for dopamine no matter how much researchers tried to wean them off it, I knew we had just hit on something amazing. Looking back, I’m proud to say that drug-addled corpse lying on the bottom of its cage launched the largest social network in the world.” At press time, Zuckerberg admitted that although Facebook had changed significantly since its founding, he was determined to get it back to its original goal of helping users achieve pure, unbridled addiction to the platform.